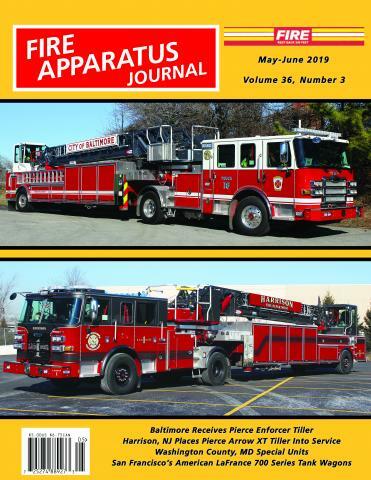 NEW YORK CITY UPDATE by Jack Lerch | Fire Apparatus Journal Inc.
New York City operates a fleet of over 2000 vehicles that includes, pumpers, hose wagons, rear-mounts, towers, tillers, rescues, command vehicles, ambulances, foam apparatus, brush units, fireboats, numerous special units, support and service vehicles. The New York City Update column provides news of new apparatus orders, deliveries, assignments, re-assignments, conversions, and any other news regarding apparatus in New York City. New York City Update, is written by Jack Lerch. Those interested in the New York City Fire Department will find a wealth of information and history at http://www.nyfd.com. This site is "the unofficial site of the New York City Fire Department"
It is maintained by retired firefighter Donald Van Holt. Jack Lerch is an Honorary Chief of Department, and is president of the Honorary Fire Officer's Association. Jack also oversees the operation of the Fire Academy Library. He has been collecting data and photographs of New York City apparatus since 1945 and is the co-author of Wheels of the Bravest. Jack does not sell or swap photos.